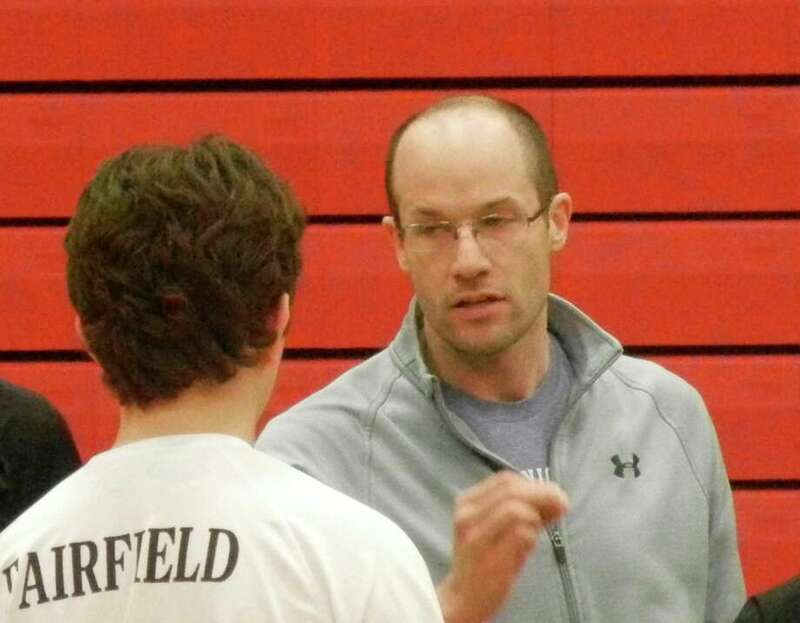 Garrett Covino, who had coached the Fairfield co-op team, will now take the Warde program this spring as the sport has split back into two teams. FAIRFIELD — Going their separate ways. Last spring, Warde and Ludlowe combined to form the Fairfield co-op team and post a fifth-place finish in the FCIAC standings, going 8-8 ND just missing out on the four-team tournament. The Mustangs ended with a 9-10 record, losing to Southington in the opening round of the state tournament. For the first time in 10 years, Warde and Ludlowe will have separate teams, the Falcons playing under coach Ryan Minter-Woodcock and the Mustangs under Garrett Covino, who coached the co-op team last season. To start that foundation, Ludlowe will rely on captains Matt Jessen, Tristan Carey and Phillip Nesbitt, to provide the experience to compete in the always tough FCIAC. Warde has returning experience in outside hitter Guilherme Lima (2.4 kills, 3.4 digs and 2.4 service points a game), middle blocker Josh Taylor (2.1 kills, 2.7 blocks a game) and setter Andrew Baratz (5.7 assists, 3.4 service points a game). Covino will have some new faces in Cooper Rothman, Matt Skelton and Kyle Epstein.